Like what you see? Become a subscriber! 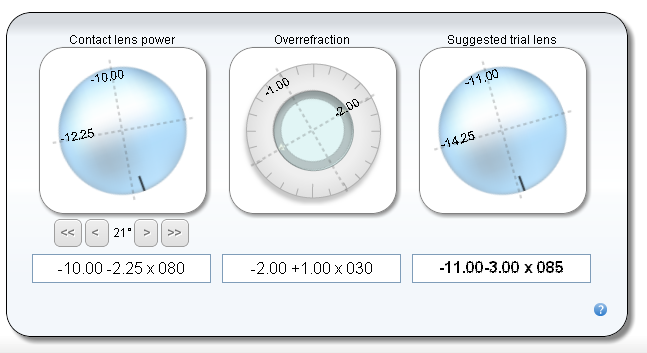 Benefits include even better soft lens searches and helpful contact lens calculators (including RGPs and cross cylinders). Most importantly, you help support continued development of this site. No-commitment 30 day trials are available. Optometry Giving Sight funds sustainable programs that provide eye exams and glasses in communities with little or no eye care. Through Optometry Giving Sight programs, just $5 can provide an eye exam and glasses to one person in a developing nation. 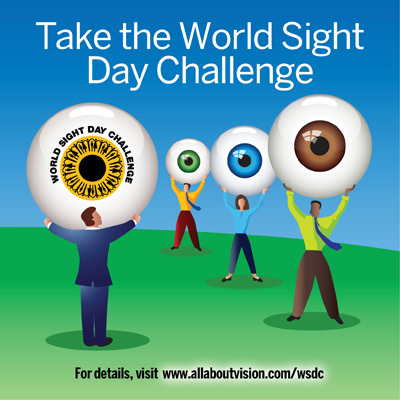 Allaboutvision is running a promotion to support Optometry Giving Sight and their World Sight Day Challenge. Participate and they'll add $25 to your contribution. How can you go wrong? SynergEyes UltraHealth™ is the first hybrid contact lens designed for irregular cornea patients made with silicone hydrogel, a material that provides a higher amount of oxygen to the eye than previous SynergEyes irregular cornea contact lenses. Irregular cornea, keratoconus, and ectasia patients now have access to a lens that provides an unprecedented combination of superior vision and all-day comfort while helping to maintain eye health. I was feeling a little nostalgic, so went into my basement and dug out the cardboard box where I keep old hard drives and looked at some of the earliest versions of EyeDock. Everything I was pretty crude, especially from a 2013 perspective. After all, I was learning on the fly and everything was an experiment of sorts. In all fairness to myself, however, even the most popular websites from 10 or more years ago look pretty simple nowadays! Anyway, it might not be of much interest to anyone but myself, but I thought I'd pull out some of these early images and share them here. I know some of you have been using Eyedock since the very early days - do you remember any of these images? 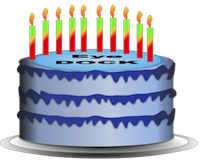 Well, I've decided to declare today EyeDock's 10th birthday. To be honest, I have no clue when EyeDock was actually "born". It started as an idea that stewed in my mind for quite a while, and it began to gel as I read HTML for Dummies and Sam's Teach Yourself Apache, PHP, and MYSQL in 30 days. You probably can't say it existed until I had a real working product, however, and I think this happened sometime in 2002. Of course, for the longest time I only showed it to my girlfriend (who is now my wife) and a few of my closest friends. I eventually skewered up the nerve to mentioned it on an OD forum, the Optcomlist, and was pleased to get a lot of positive feedback (as well as a few "you must have too much time on your hands" comments - I've since learned that if you put you neck out there, especially on the Internet, you're going to have brace yourself for some criticism). Hello all! I've been working on a new version of the oblique cross cylinders calculator and I thought it was time to introduce it to you. Of course, the underlying math and optics of these calculations haven't changed. However, I thought it was time to give the calculator a facelift for several reasons.